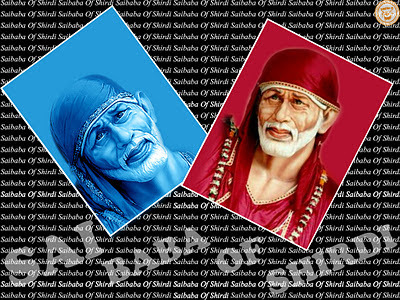 Let's again go through experiences of devotees with Lord Sai Baba. Anonymous Devotee from India says: Sairam Hetal Ji. First of all I would like to appreciate you for the great job that you are doing through this blog that boosting our faith on our Sadguru Saibaba. In fact, I was not aware of Sai earlier. During 2010, I was going through a very bad phase of my life. That time only Sai came in my life and I totally drew toward Him. It’s my humble request to you to not to disclose my name and email-id. The day, I woke up in early morning, I was really worried and upset thinking about my personal issues. I prayed Saibaba and told Him that if everything is going to be alright, I want to see You in pink shawl today. Later on, I went to Sai temple for the Madhyann Aarti. Before entering in the temple, I was expecting to see Baba in pink. But I was really disappointed because He was not in pink. As usual, I offered a rose to Him and was expecting a rose in return from Him. But there was not a single rose nearby Him. So I expected the one nearby his heart (the rose nearby His collar), which the temple priest rarely use to give it to anyone. But to my surprise, I have got that particular rose that day. I was very happy to get that rose. I had forgotten that I wanted to see Saibaba in pink. But when I came out of the temple and went to the shop to buy the Prasad, I saw there a locket of Saibaba with a smiling face and pink background. My happiness was beyond any limit. I thanked Him wholeheartedly for showing His presence. And this was not only the end. Again I saw a Saibaba's photo on a car crossing by. It was a smiling face of Baba in pink that I had wished. Secondly there is a short experience that I would like to mention here. Few days back, I was having severe joint pain .I was not willing to go to a doctor. I simply started drinking UDI mixed with water and within 2-3 days the pain was vanished. It was a big miracle because I know what kind of pain it was. It was not possible to be cured without a Doctor's treatment. At last, I would like to say to all the Sai devotees that Saibaba is always with us. The only need is to call Him with a true and pure heart. Om Sai Jai Jai Sai Shree Sai. Sai Brother Kanthimathi Ji from India says: Om Shri Sairam. I am a retired engineer from BSNL. I am put up at Vellore. I am submitting few of my experiences with my Saima. Daily day to day life, I am experiencing. I find no words to express His blessings. If we put our burden to Him, He is sure to be with us. Due to my sugar level, I could not able to continue my service. So my daughter wants me to give resignation. Then I gave resignation due to some problem. I was not getting my pension amount. Then I pray to my Sai for getting enhanced amount as per my last pay. After a year, I got my arrears and actual pension amount really with His blessings. Om Shri Sadguru Sainath Maharaj Ki Jai. We thought of getting car, but I want to have ending number three. Sales people say that number will be allotted automatically. I always ask for Sai’s help and permission before doing any work. Likewise I prayed Baba to solve this issue to get the preferred number today. I got reply from Car Company that I have been allotted the number ending with three. It is possible and everything is possible with Sai’s grace. 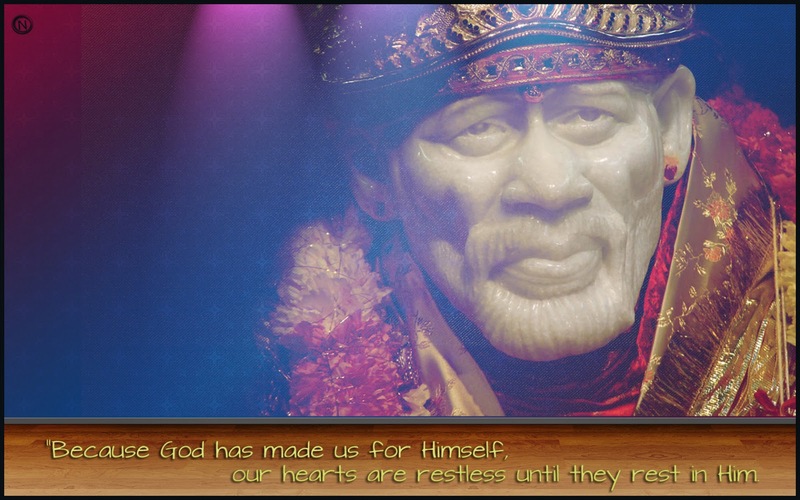 Om Shri Sairam. I have put so many applications to Saima. He is caring all my requests then and there. He is Paramatma. Rama, Krishna and Sai are one and the same He is in all matters. If we truly put our burden to Him, He cares all. Sai Sister Bhargavi Ji from USA says: Hetal Ji, nice job done by you. It is my privilege to read Saibaba's miracles. Here is one of mine. Do not publish my email id. It happened 10 years back. I went to EAMCET counseling. I was in the queue waiting for my turn and found out that there was only one free seat from the branch I desired and from the college I desired. There was couple of people in the queue before my turn. So I doubted that one free seat would be occupied. I prayed to Sai Baba to grant that free seat to me. He answered me. I got it. such a wonderful experiences. baba bless all of us. Wonderful Experiences.. Thanks a lot for Sharing.. Thank you Saima for everything. Without you i'm nothing. One fine day, when sitting alone and thinking about the past days,our mind may ask us:"What have you achieved in your life being born as a human being? 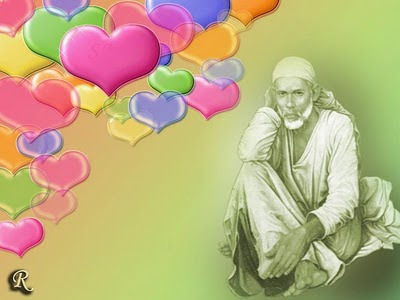 ".At that point of time, proudly answer:"Dear mind, what more should a person achieve than coming under Sai`s arms". All the happenings with us is because of Sai`s grace,be proud that we are not vanished in the worldly ocean,out of some billions of people we are selected in Sai`s darbar. Your message is very true and well stated. All Sai devotees should remember this. Jai sai Ram! Beautiful experiences! Nice experiences thanks for sharing.Why fear when our sai is near. May sai bless his children. OM SHIRIDI SATHGURU SAINATH MAHARAJ KI JAI. Yes at times even the comments answers our question. Well said by Dr Maheshji. Thanks a lot. Very well said by Dr. Mahesh Chandra panda Ji. Nice experiences! Bhargavi Ji, it is due to Baba that the free seat was held for you and Baba was the one who reserved it for you. Kanthimathi Ji, it is nice that Baba not only gave you your due pension amount but also made sure the car amount was exactly as you asked (only happens due to Baba's grace). Devotee from India, it is nice that although you didn't get to see Baba in a pink dress at the temple, he made sure to show himself to you later on that day in a pink dress and also good he was able to cure your pain (that is the power and greatness of Udi). Om Sai Ram!